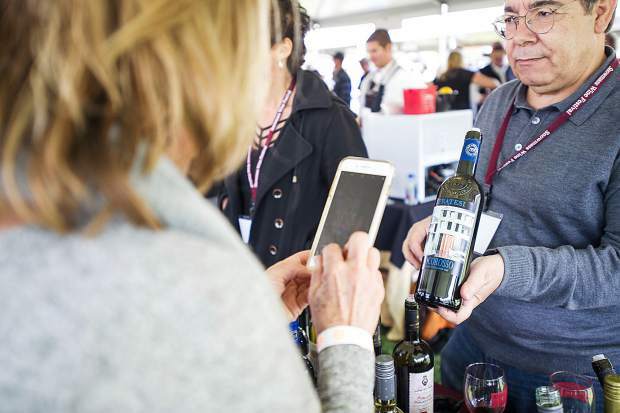 Mano Scanu of Lenardo Locascio Wines holds up a bottle of wine for a guest to snap a photo at the Snowmass Wine Festival Grand Tasting held on Saturday at the Town Park. 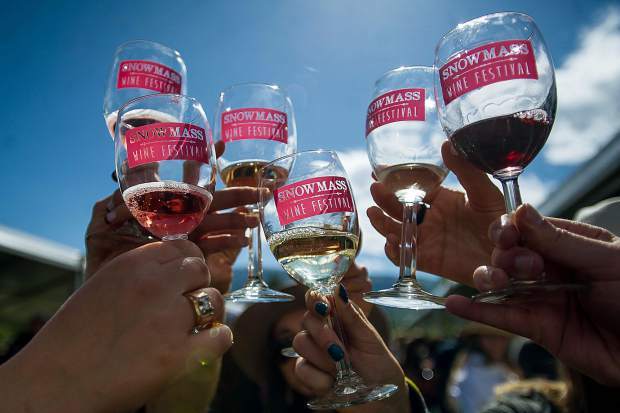 Thirsty patrons cheers at the wine festival. 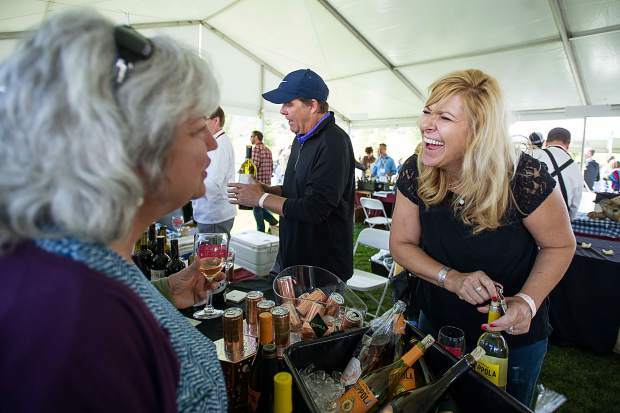 Christy Bougie of Francis Ford Coppola Wines is all smiles while serving. 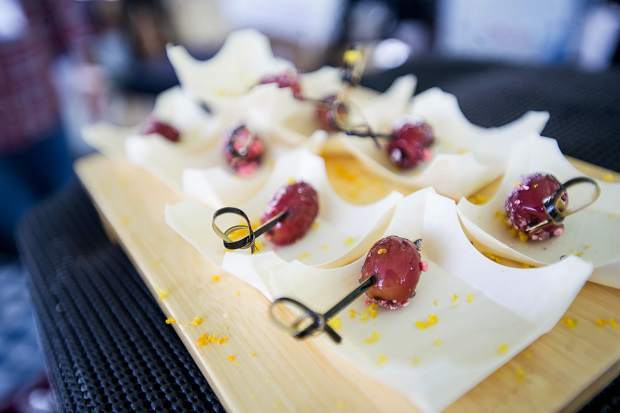 The Artisan Restaurant's 72-hour port wine macerated "grape pops." 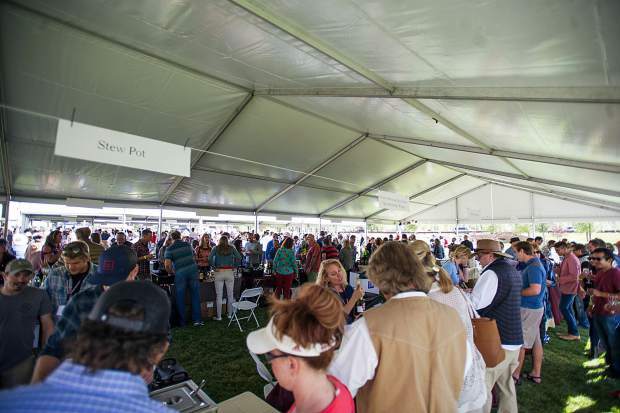 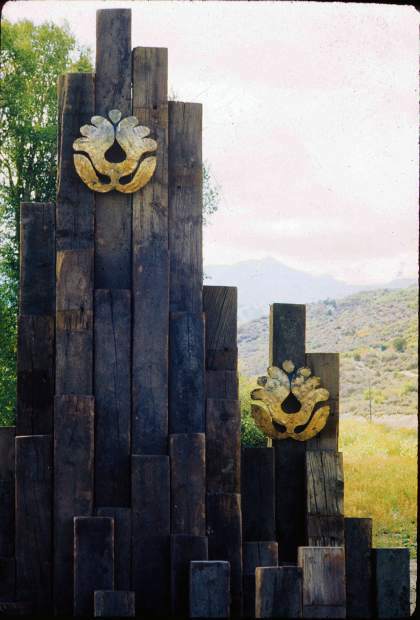 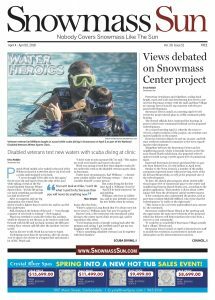 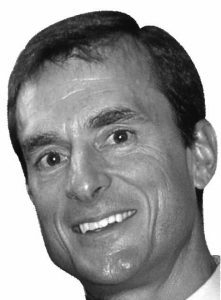 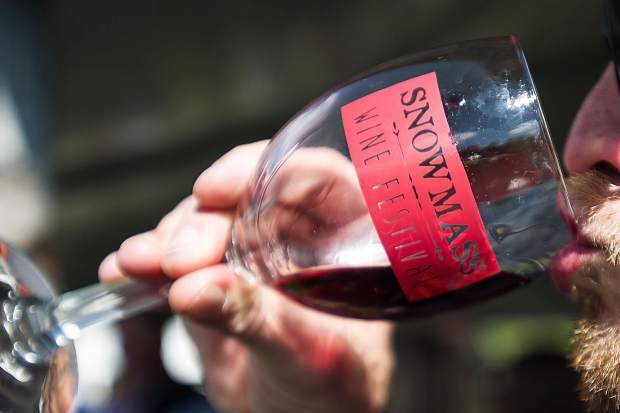 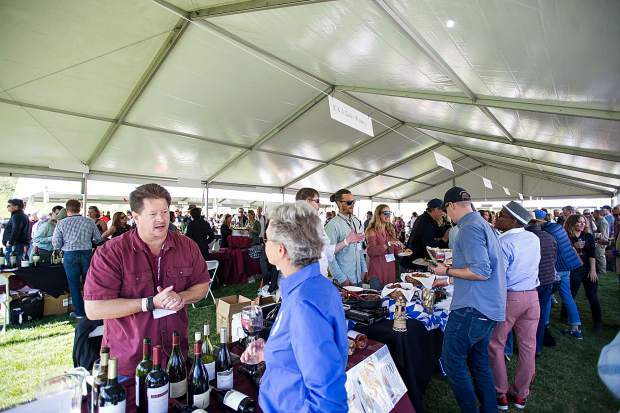 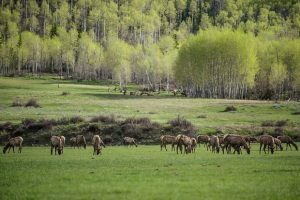 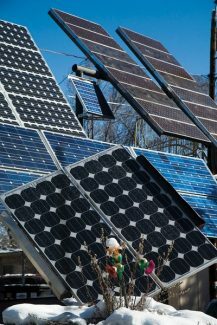 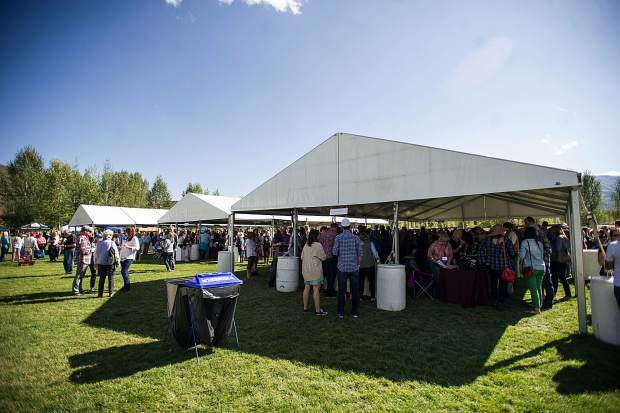 The Snowmass Wine Festival Grand Tasting held on Saturday at the Town Park. 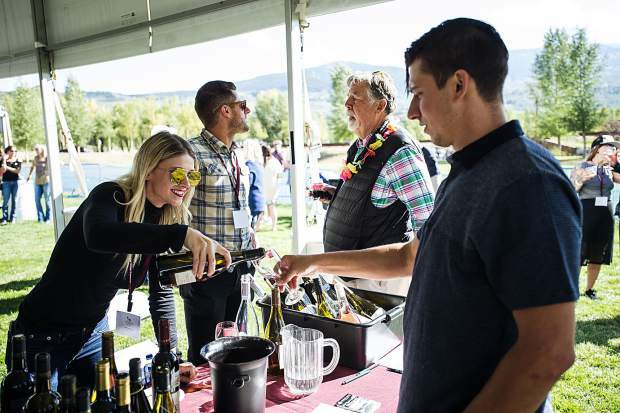 Kaley Davidson of Pioneer Wines pours a sample tasting for wine festival-goer Nate Soucie. 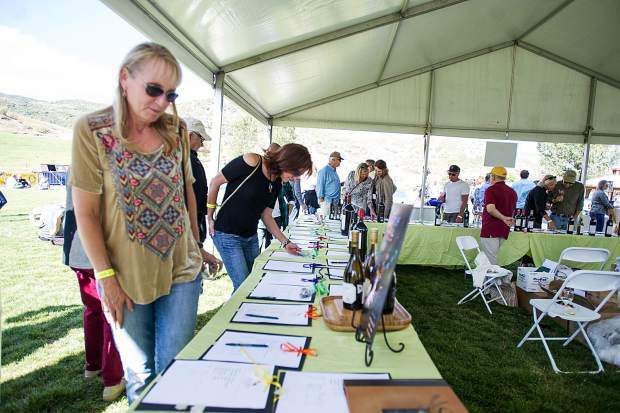 Guests peruse the silent auction items at the Snowmass Wine Festival Grand Tasting held on Saturday at the Town Park. 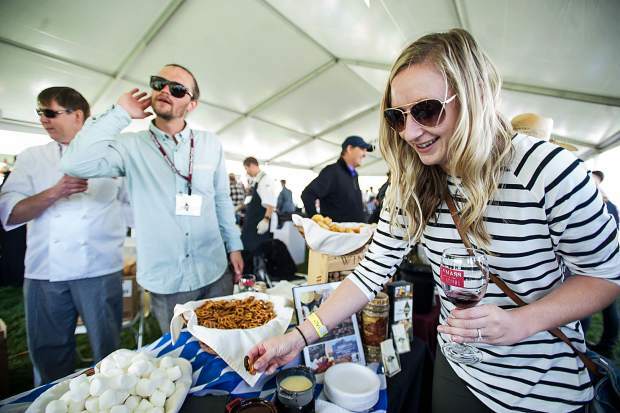 Aryn Jones samples fondue from The Edge Restaurant and Bar.